(Vancouver, WA) The Vancouver Symphony Chamber Music Series is back for its highly- anticipated seventh season filled with familiar favorites and new surprises for music lovers of every age and the return of our live music-to-film series. The first concert of 2017-2018 is a Piano Extravaganza on Sunday, October 22 at 3pm at Vancouver’s historic Kiggins Theatre. 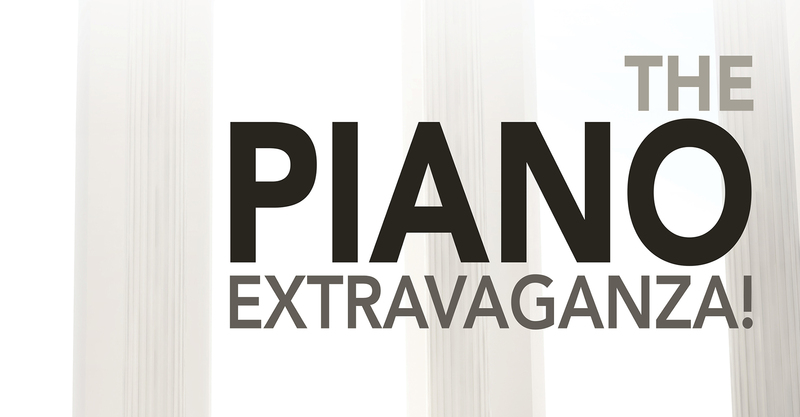 Our annual Piano Extravaganza welcomes the return of the rich sounds of grand pianos on the stage of the Kiggins courtesy of Northwest favorites Cinda Redman, Elena Vozheiko-Wheaton, Kathy Edsill-Charles, Kathryn Hobbie and Dr. Michael C. Liu. Among the pieces being performed are: Leonard Bernstein's Symphonic Dances from West Side Story for 2 pianos (arranged by John Musto), Georges Bizet’s Carmen Fantasy for 2 pianos (arranged by Greg Anderson), Arthur Benjamin's Jamaican Rumba for 2 pianos and selections from Edvard Grieg's Peer Gynt Suite Op. 46 for 2 pianos (arranged by Richard Simm). As part of this innovative program of piano virtuosi, the audience will be treated to two-piano groupings and even a rousing conclusion of all the pianists playing at the same time on the same stage. All performances are at the Kiggins Theatre at 1011 Main St. in Vancouver, Washington. Prices per concert are $25 for adults and $10 for students. Tickets are available for these and all 2017-2018 events at vancouversymphony.org or (360) 735-7278. Individual tickets are $25 for adults and $10 for students. Pianos will be furnished by Michelle’s Pianos. About the Kiggins Theater Primarily known as a movie theater, the Kiggins was designed in the Art Deco style by architect Day Walter Hilborn and named for former Vancouver mayor and businessman John P. Kiggins. Opened in 1936, the theater was renovated and reopened in September 2011. It was added to the National Register of Historic Places in 2012. The theatre is owned and operated by Dan Wyatt. About The VSO Chamber Music Series - Now in its seventh season, the series was co-created by Dr. Michael C. Liu, the VSO pianist and board member and Dr. Igor Shakhman, VSO Executive Director and Principal Clarinet to present great musicians playing in a very intimate setting. The content of each concert is unique, and most of the participating musicians are members of The Vancouver Symphony. About The VSO - Maestro Salvador Brotons enters his 27th season leading the professional orchestra of over 70 core members. For 39 seasons The VSO has been a cornerstone of Southwest Washington's arts community, providing world-renowned classical music, promoting young musicians, and opening doors to classical music for young audiences through events such as the annual In-School concerts, Young Artists Competition, family-styled special events and performances. Many of our musicians are teachers in our school districts and beyond. The VSO provides our region with a multi-concert classical season every year and performs at Skyview Concert Hall, 1300 NW 139th Street, Vancouver. Season support for The VSO is provided by All Classical Portland and The Columbian. Additional support for the orchestra is provided by Oregon Public Broadcasting. Tickets for the VSO Chamber Series and all VSO symphony concerts are on sale now at (360) 735-7278 or www.vancouversymphony.org.